P5-A Automatic Sealing Machine features PLC color touchscreen. 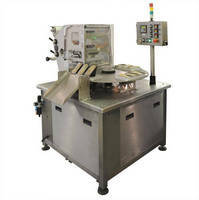 P5-A Automatic Sealing Machine comes with lane dividers, extended infeeds with integrated automatic tray denesters, filling and depositing systems, lid applicators, and lane merging systems. Unit can produce up to 60 sealed trays, 32 MAP trays and 28 skin trays per minute. P5-A handles film widths up to 480 mm and tray depths up to 110 mm. Product prepares vacuum-gas flushed MAP containers, vacuum skin packs (VSP) and seal-only trays. Point Five Packaging, a supplier of modified atmosphere packaging (MAP) equipment and premium packaging solutions for various food industry sectors, has introduced the P5-A Automatic Seal System. Ideal for any food production or packaging environment – and configurable for manual as well as automatic operation – the machine produces vacuum-gas flushed MAP containers, vacuum skin packs (VSP) and seal-only trays. Highly flexible, the P5-A can be tailored to suit a wide set of customer needs. 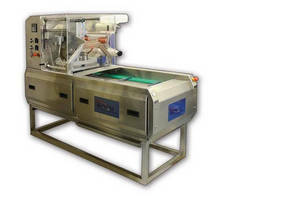 An extensive set of options includes lane dividers, extended infeeds with integrated automatic tray denesters, filling and depositing systems, lid applicators, and lane merging systems. Together, the components form the crux of a comprehensive, turnkey packaging line. Point Five Packaging is an Illinois-based supplier of packaging solutions and modified atmosphere packaging (MAP) equipment systems for a wide range of food industry sectors – everything from baked goods and dairy to meat and produce. 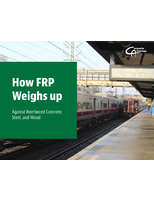 The company’s network of suppliers and resources deliver premium materials and packaging technologies to food processors and retail environments. Point Five is the North American distributor for Italian Pack S.r.l. of Como, Italy. The P5-A is manufactured by Italian Pack to specification for the North American market. Italian Pack has over 30 years of MAP system experience, and Point Five has established a complete infrastructure to fully service and support the Italian Pack line. 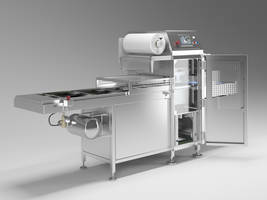 The P5-A can produce up to 60 sealed trays, 32 MAP trays and 28 skin trays per minute. An optional seal head storage cart ensures changeover in under 5 minutes, and a user-friendly PLC color touchscreen allows quick, simple product setup and recipe storage. The machine handles film widths up to 18.75” (480mm) and tray depths up to 4.3” (110mm), with an available upgrade to 6.3” (160mm). Film sealing, MAP and vacuum skin packing can all be achieved on the same seal head. The machine offers a wide swath of competitive advantages. Its heavy-duty 304 stainless steel wash-down construction is ideal for food packing environments, and tool-less vacuum chamber removal further ensures high standards of hygiene and cleanliness. Film rack loading is simple and includes automatic scrap take-up, and optional print registration affords precision quality control. In fact, seemingly every possible process has value-added options, ranging from a selection of alternative vacuum pump sizes to a seal head storage cart with an efficiency-minded preheating feature. Point Five Packaging was established in 2010 as a supplier of packaging solutions and modified atmosphere packaging (MAP) equipment systems for a wide range of food industry sectors, from baked goods and dairy to meat and produce. 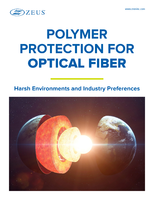 The company’s network of suppliers and resources deliver premium materials and packaging technologies to today’s food processors and retail environments. Point Five is also the exclusive North American distributor and service partner for Italian Pack LTD of Como, Italy. Point Five boasts an extensive, customizable stock tooling program for thermoformed and injection molded food packaging supplies, including Polypropylene (microwave safe), crystal clear APET thermoformed trays and aluminum containers, and the company also is a leading supplier of CPET, dual ovenable containers and products. Its team of packaging and food industry veterans lends expertise to package design as well as operational layout efficiency and productivity. For more information, visit www.p5pkg.com or call (847) 678-5016. 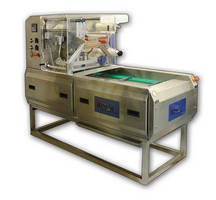 ARPAC-Hefestus to Feature the APOLLO Rotating MAP Sealing Machine at the Pack Expo 2010 Show! ARPAC-Hefestus Features HERA with Shelf Life Booster (SLB(TM))Technology at the Pack Expo 2010 Show, Booth # S-400! 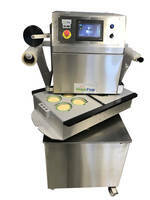 ARPAC-Hefestus to Feature the APOLLO SLB(TM) Rotating MAP Sealing Machine at the Process Expo 2010 Show, Booth # 12028, McCormick Place Chicago July 18-20! Joining System joins PVDF acid waste pipe and fittings. Sealing Machine handles deli containers from 6-32 oz. Stacking Heat Sealer includes ActiveX interface.